Canvas for Android - How do I log in to the Canvas app on my Android device? 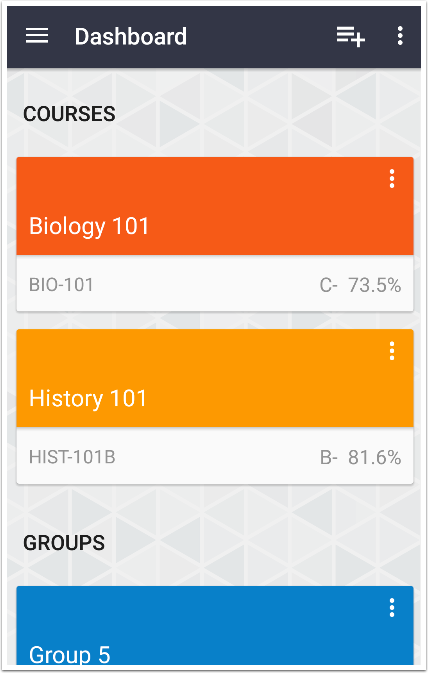 Once you have downloaded the Canvas app from the Play Store, you can use the app to log in to your Canvas account. You must have an account to log in. 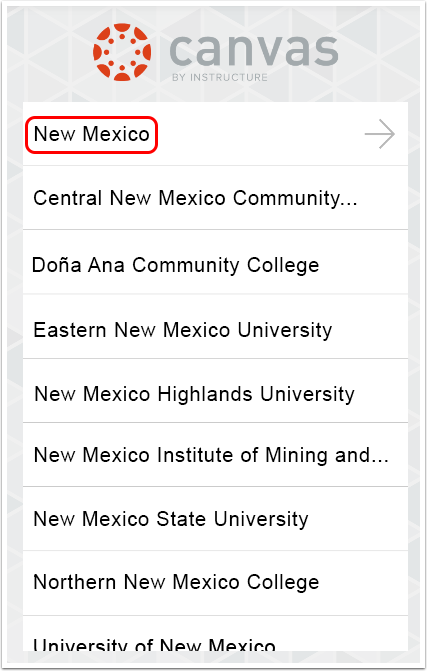 The app will ask you for the name of the institution (New Mexico State University) to find your account. 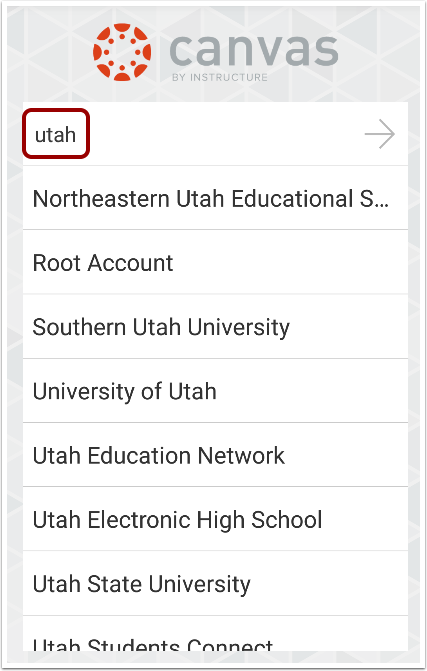 If the app cannot find your account, you may have you use NMSU's Canvas URL to log in. Open your Android device and tap the Canvas icon. Note: If you ever need help logging in to Canvas, tap the Help icon . Enter New Mexico State University. You can also enter the name of a school district. When the full name appears in the search list, tap the name. 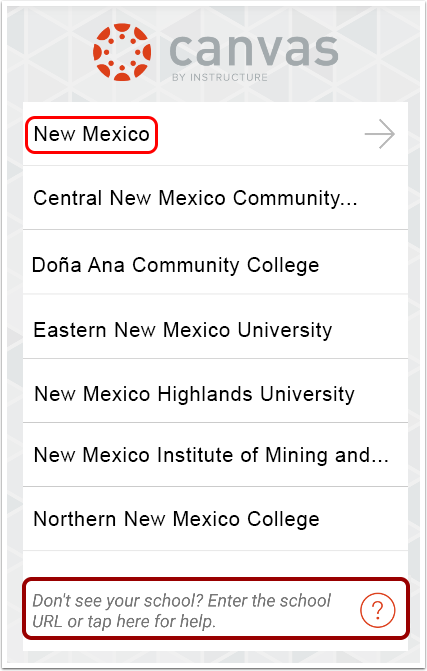 If New Mexico State University does not appear in the search list, you may need to locate your Canvas account by entering a Canvas URL. 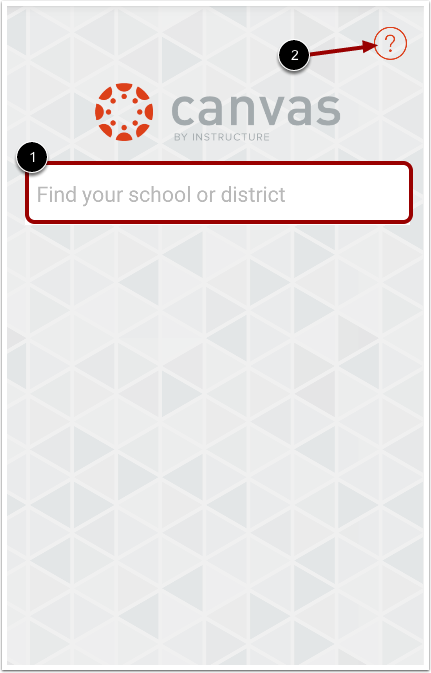 If you don't know your Canvas URL, tap the Can't find your school link at the end of the search results. 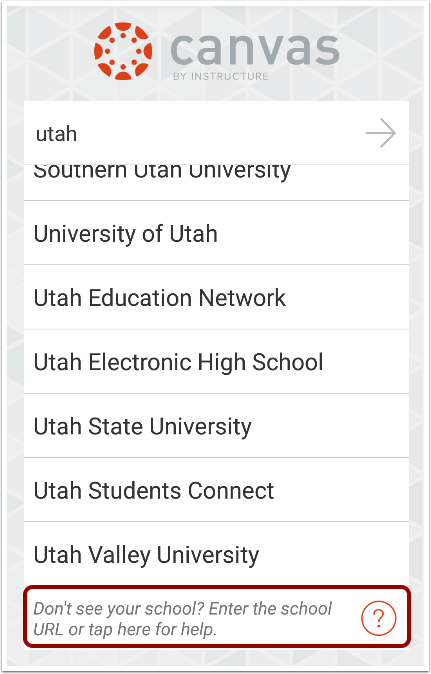 If you know your institution's Canvas URL, enter the URL in the search field . Tap the arrow button . 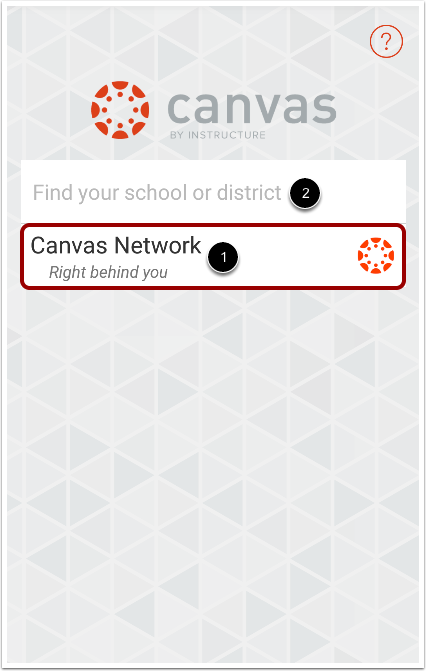 If you are trying to access a Canvas Network course, Canvas Network appears as a default option at the top of the search list . Or, in the search field , you can also enter the Canvas Network URL: learn.instructure.com. After you've located an account, you can view the Canvas URL at the top of the screen. Enter your email  and password . Tap the Log In button . View the landing page for your user account.